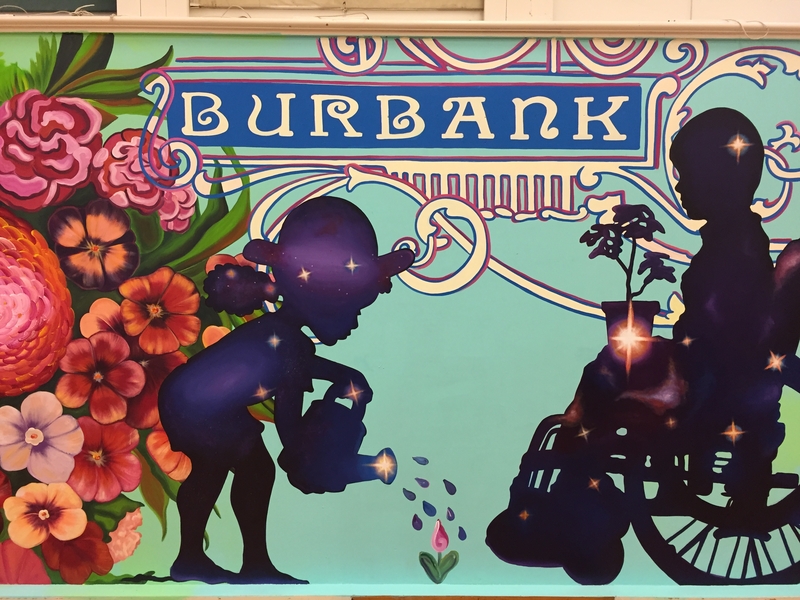 A mural designed to inspire kids to choose more fruits and vegetables will be unveiled at Burbank Preschool Feb. 23, 2018. Students' surroundings can greatly impact their learning and health, research has shown. 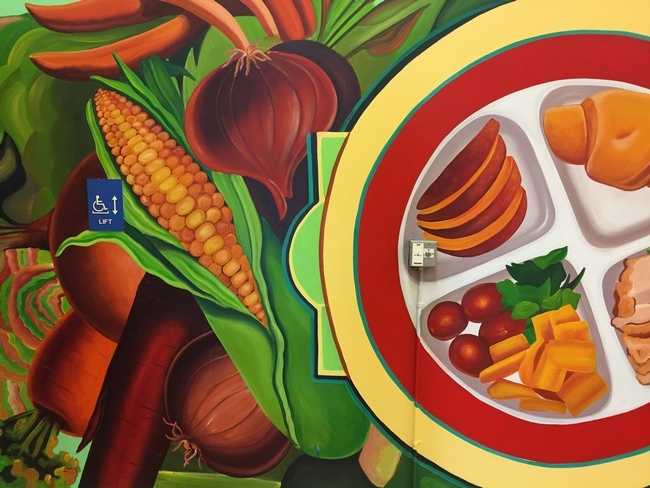 In an effort to enhance nutrition, learning and health for these students in Oakland, the University of California Cooperative Extension, UC CalFresh Nutrition Education Program, Luther Burbank Preschool and Oakland Unified School District Early Childhood Education supported the installation of a mural that features silhouettes of children of different abilities among flowers, fruit and other foods cast in bold colors at Burbank Preschool. Burbank Preschool students and teachers helped paint the mural. Luther Burbank Preschool Center is an inclusive school serving the needs of over 200 students, ages 3 to 5, of varying abilities and needs. 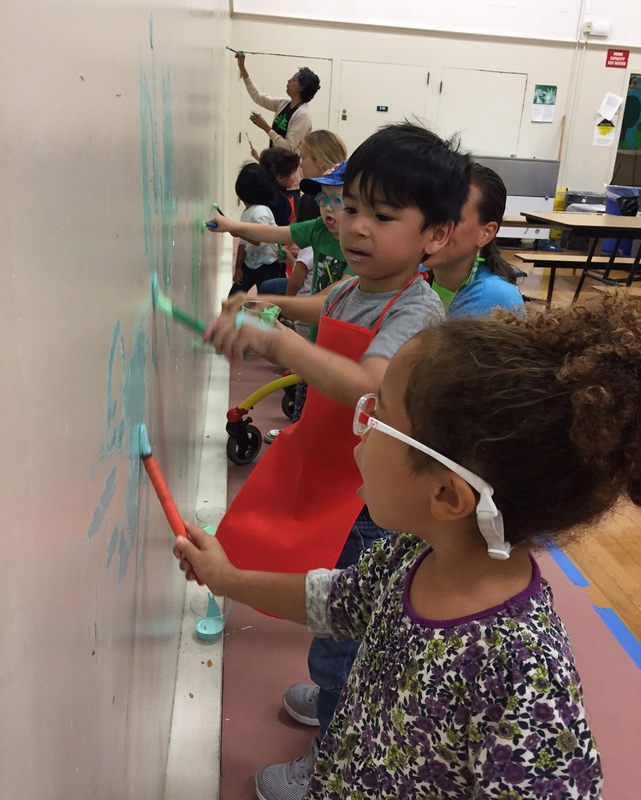 The Burbank preschool students and teachers helped paint the mural. On Friday, Feb. 23, at 2 p.m. - 3:30 p.m. the mural will be unveiled in the cafeteria of Luther Burbank Preschool at 3550 64th Avenue in Oakland. Parents, teachers and students are invited to a celebration to meet David Burke, the mural designer and well-known Bay Area artist. The UC CalFresh staff is planning some activity stations including a healthy cooking demonstration with free recipe books and a table where children can make “veggie faces” using fresh produce and hummus for dipping. The mural features silhouettes of children of different abilities.